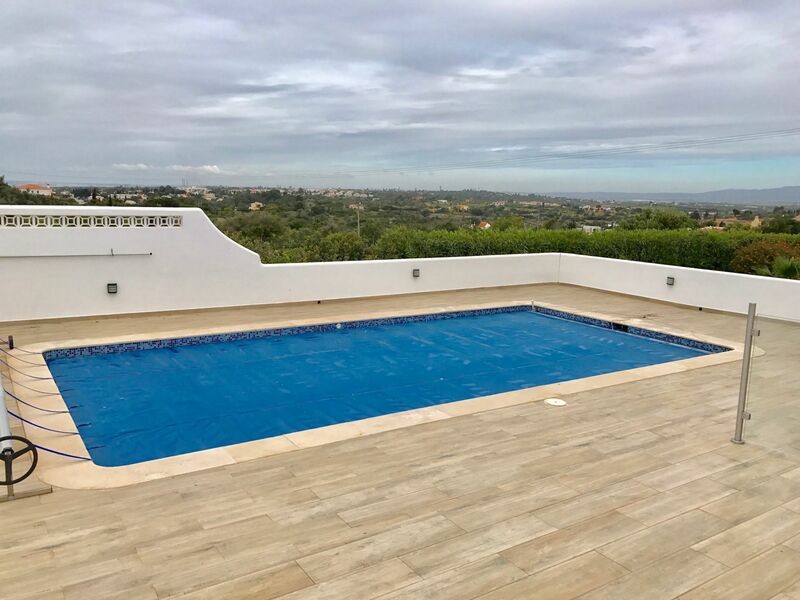 This completely refurbished villa is located at a very nice location at the outskirts of Carvoeiro, close to Area dos Moinhos. The current owners decorated it very tastefully with really comfortable furniture. All rooms are equipped with air conditioning. 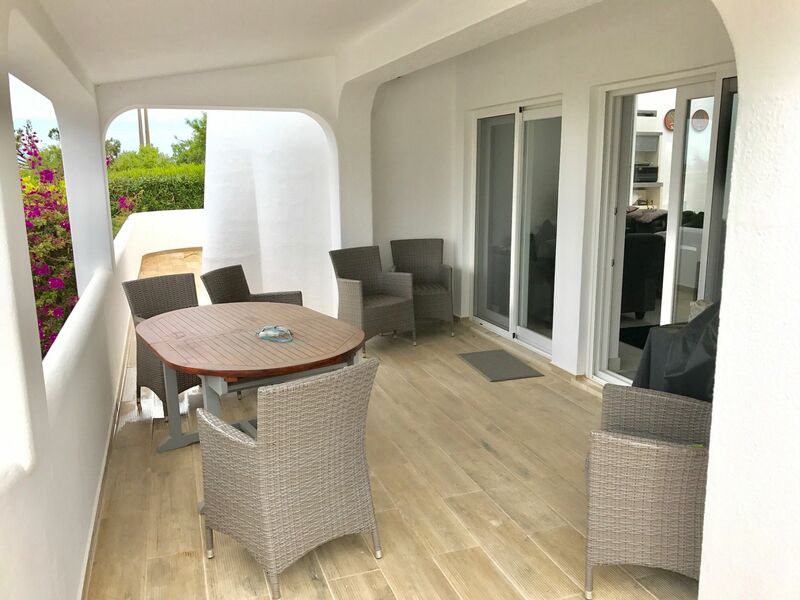 The villa has large terraces around the house and at the pool area there is a nice sunbathing area. 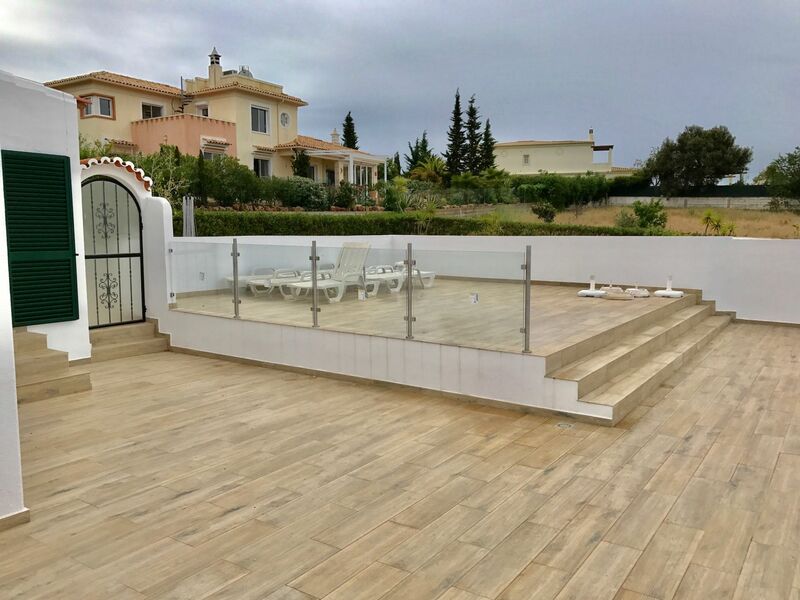 A wonderful villa at a pleasant location! 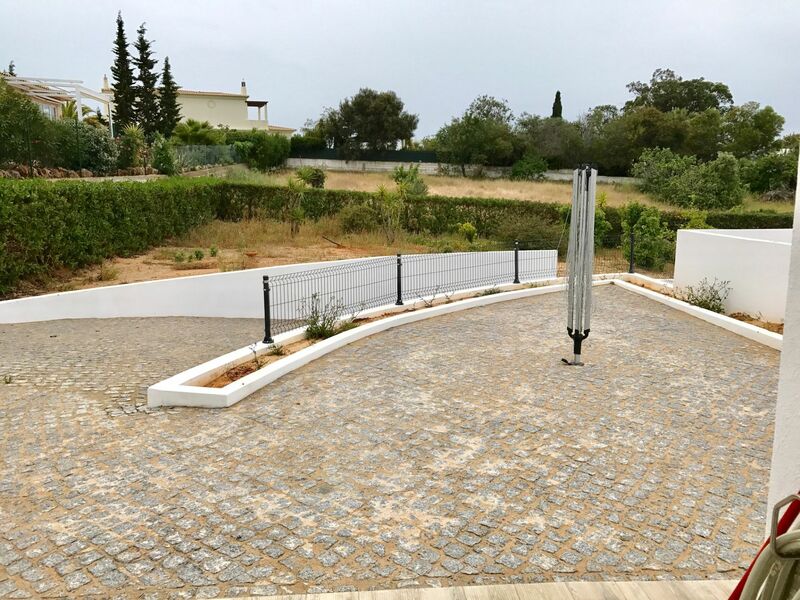 The house is situated on a large plot and consist of gardens, multiple terraces and a lovely pool area with a sundeck. 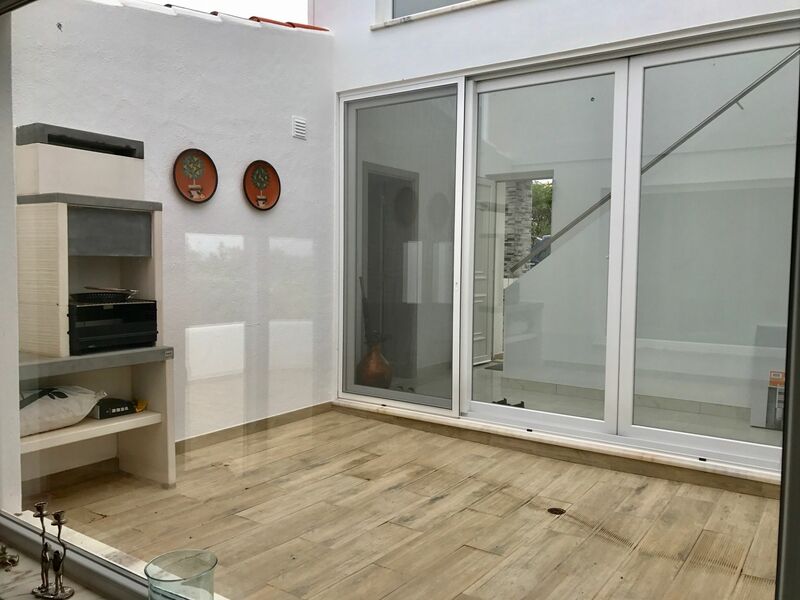 All 3 bedrooms are located on the ground floor. 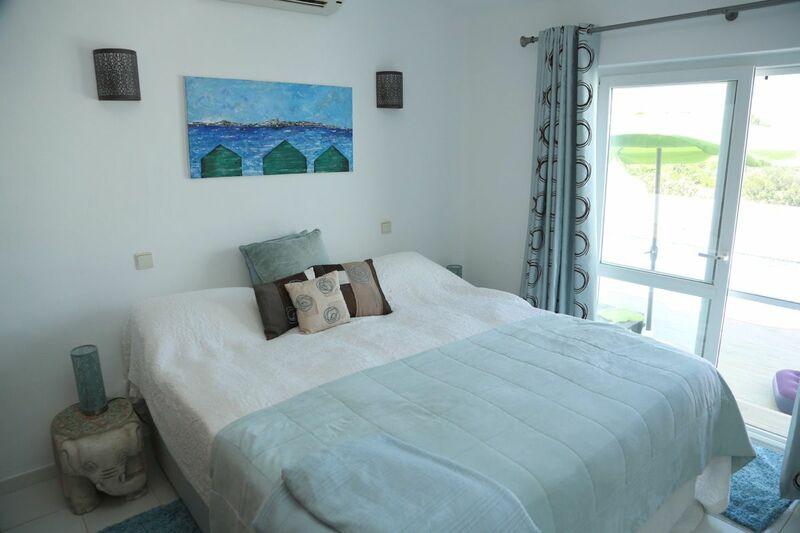 In total there are two bedrooms (one ensuite). 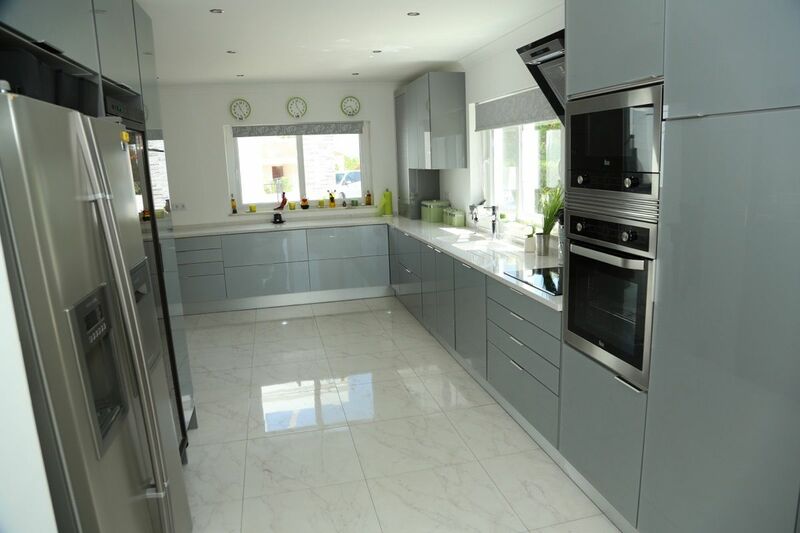 There is a new kitchen with a pantry equipped with a washing machine and tumble dryer. Further more there is a cozy living and dining area. There also is a outdoor patio with a barbecue. Around the pool you will find lovely terraces. The cozy living room with wood burner is furbished with modern and comfortable furniture. Here you can wat (English) satellite television. The room has air conditioning and WiFi. In total there are three bedrooms. 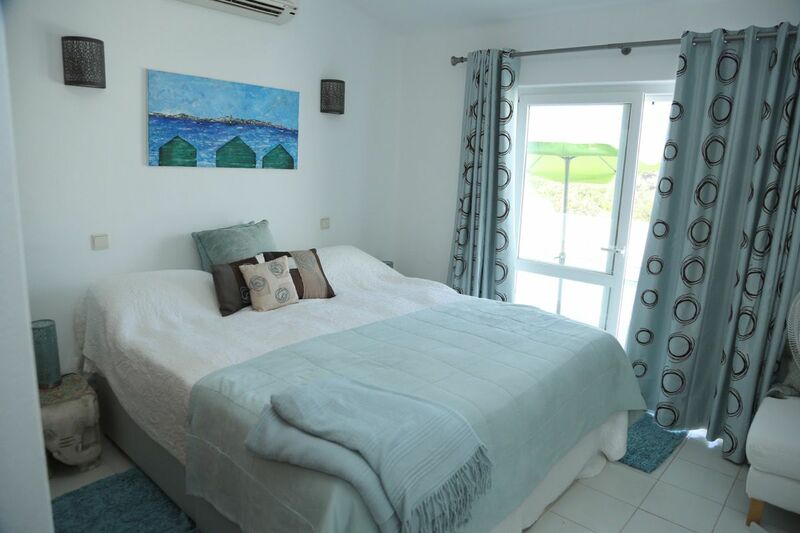 The master bedroom has a double bed with wardrobes and a bathroom ensuite. 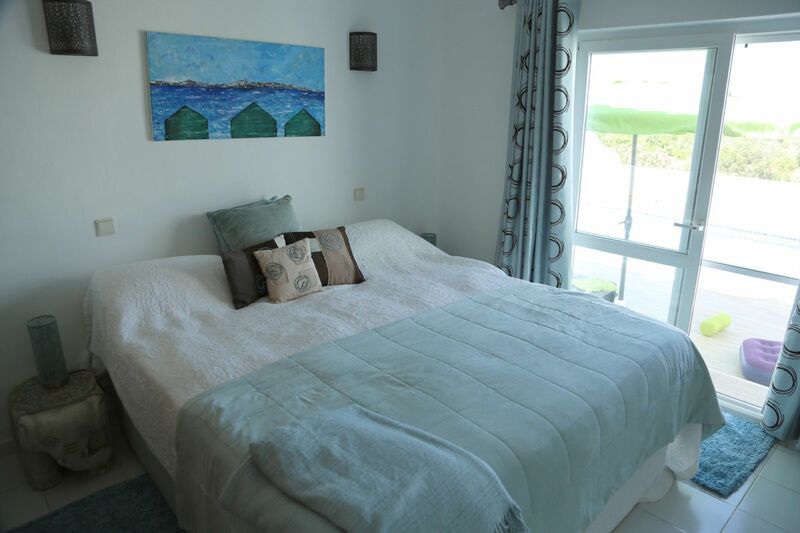 The second bedroom has two single beds and sliding doors towards the pool area. The third bedroom has a double bed. 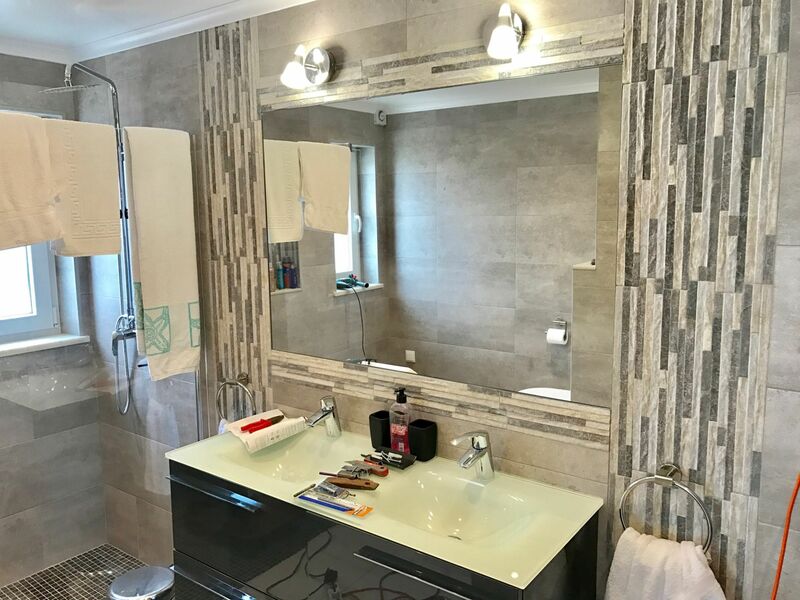 These two bedrooms share a bathroom. 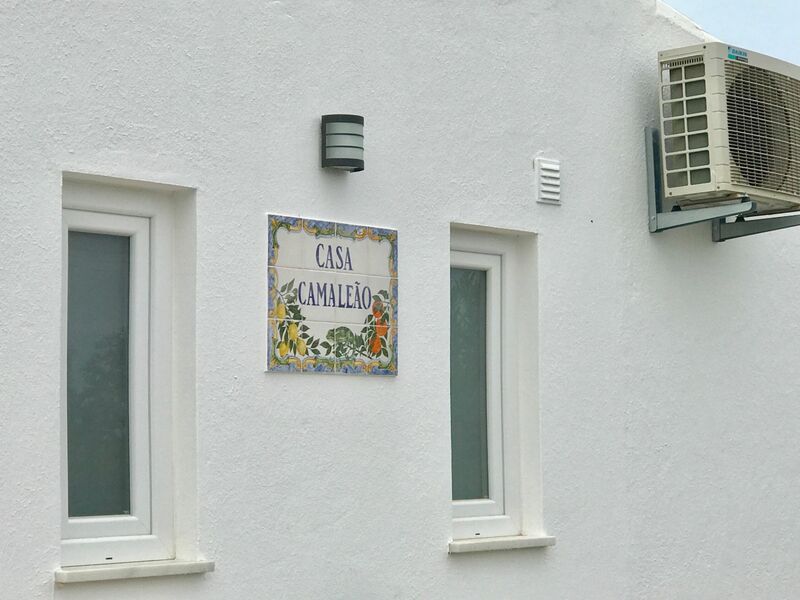 Casa Camaleão has two bathrooms. The ensuite bathroom has large shower, toilet and two sinks. The second bathroom has a shower, double sink, toilet and a bidet. This bathroom is shared by two bedrooms. 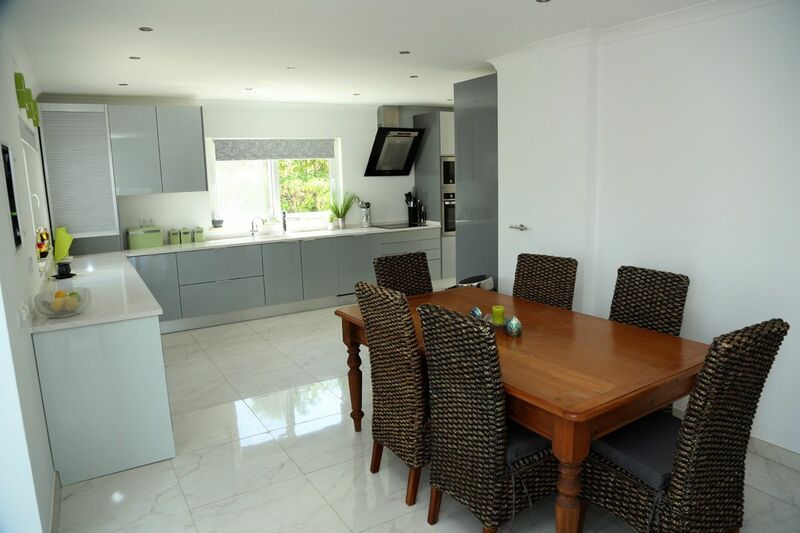 The completely new kitchen is very spacious and has all the equipment you need like a dishwasher, microwave, oven and a fridge/freezer. 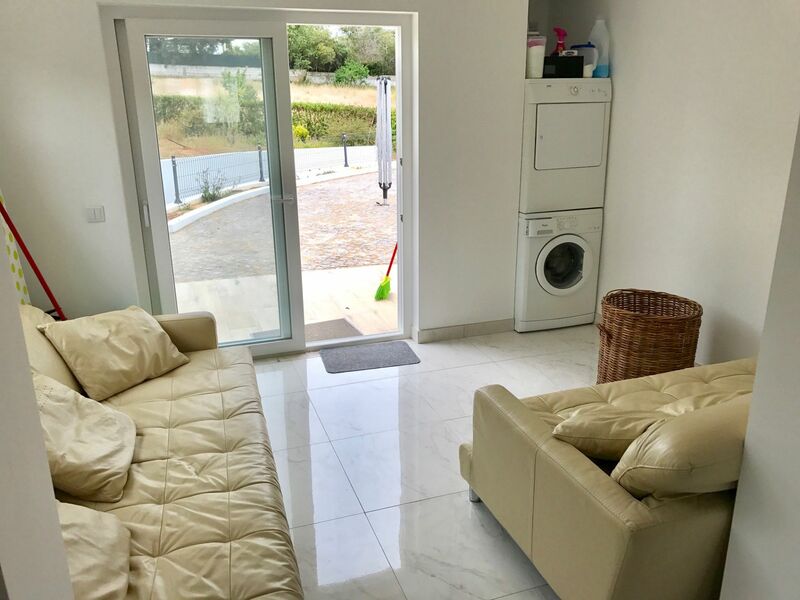 Next to the kitchen you can find the pantry with washing machine and tumble dyer. 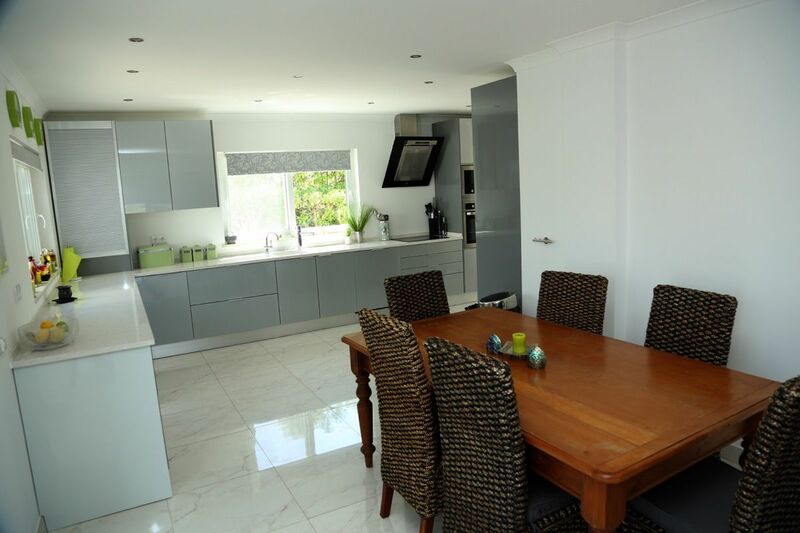 The dining area is adjacent to the kitchen. 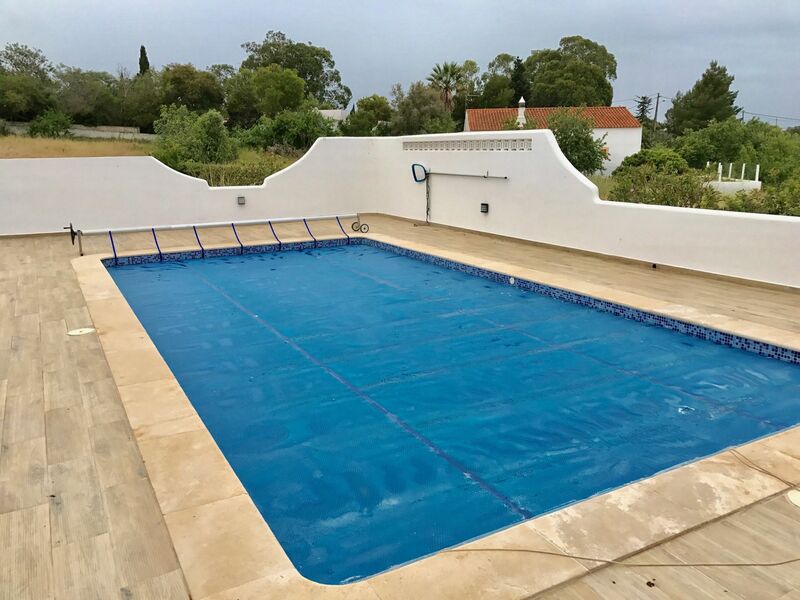 Casa Camaleão has a very nice pool area with sunbeds around. There is also a nice leveled sundeck. Furthermore there is a nice garden area and a driveway. 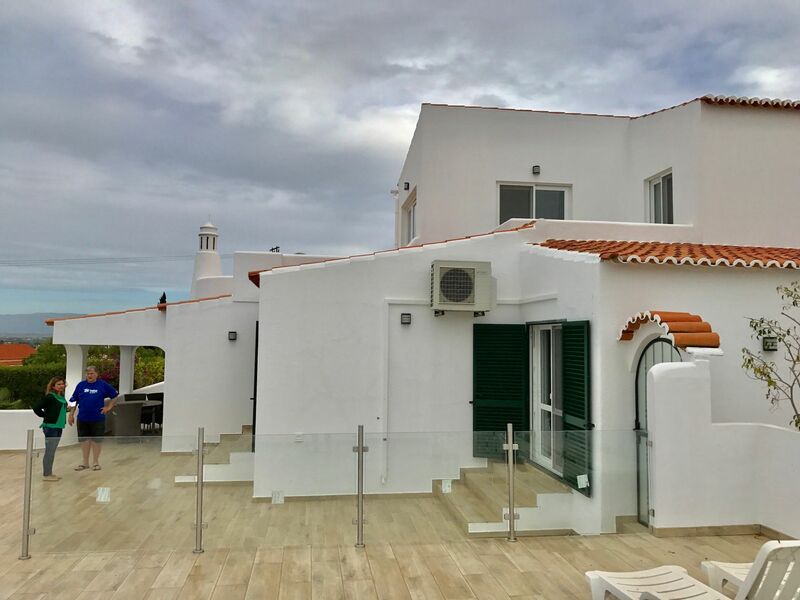 The villa is close to the lively village of Carvoeiro and its beach in the city center, the many restaurants, bars and shops. The center is at only 1500m. A walk takes about 15-20 minutes. Centianes beach is also at about 2000m. Just a great central location!